I’m a huge fan of salads that can be served hot or cold. To me, it’s the kind of food that’s ideal for entertaining — there’s no fuss or hectic rush and nothing’s more effortless than placing a gorgeous salad on the table on your own time. 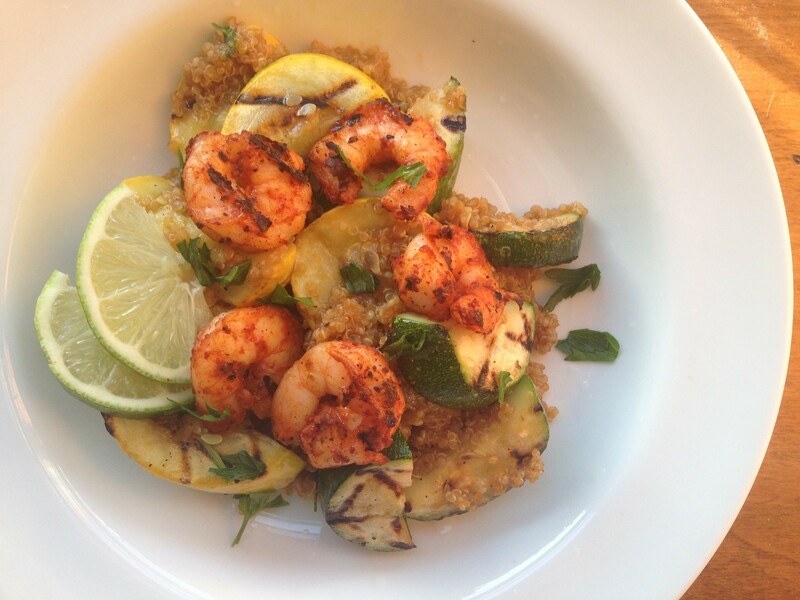 This lime quinoa salad with spicy grilled shrimp and summer squash is healthy, flavorful and easy to make. Make it in advance for weekday lunches or save it for an outdoor weekend lunch when the weather’s hot and the drinks are cold. 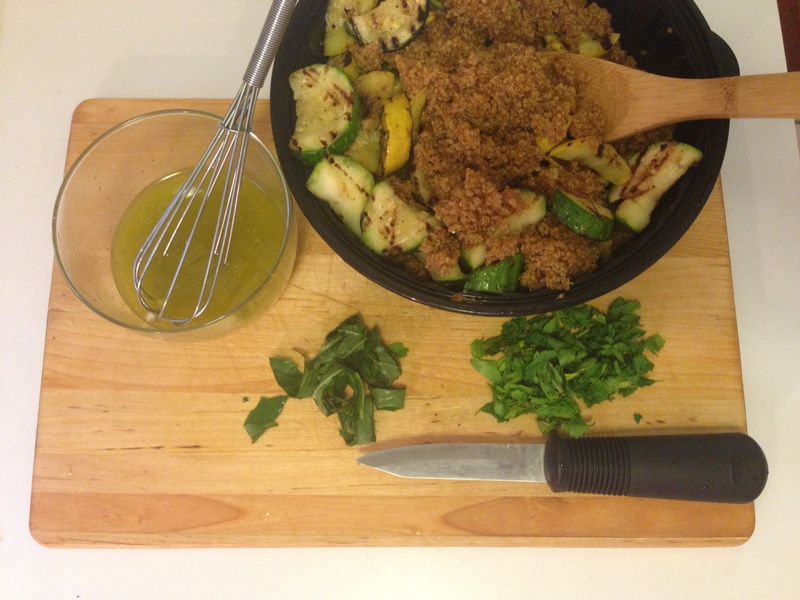 Begin by prepping the quinoa. 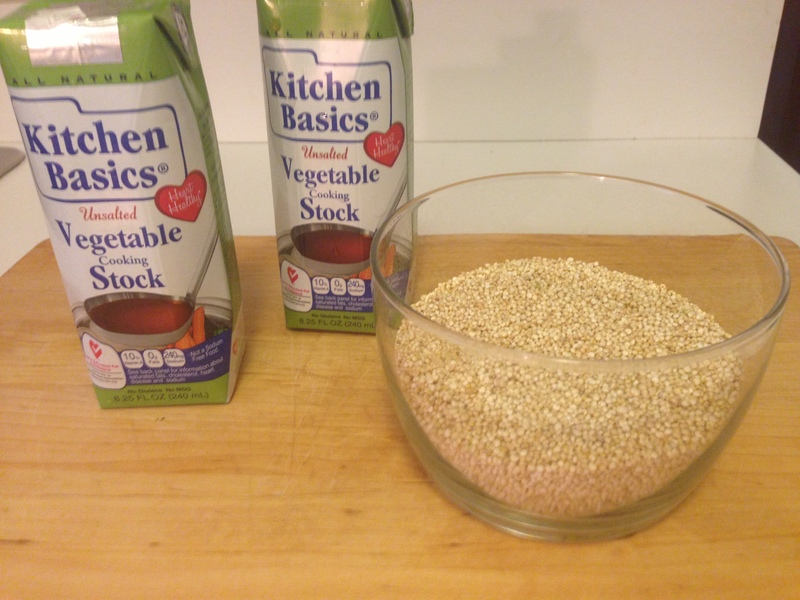 Wash the quinoa in a strainer with cold water and place into a saucepan with the vegetable broth and bring to a boil. 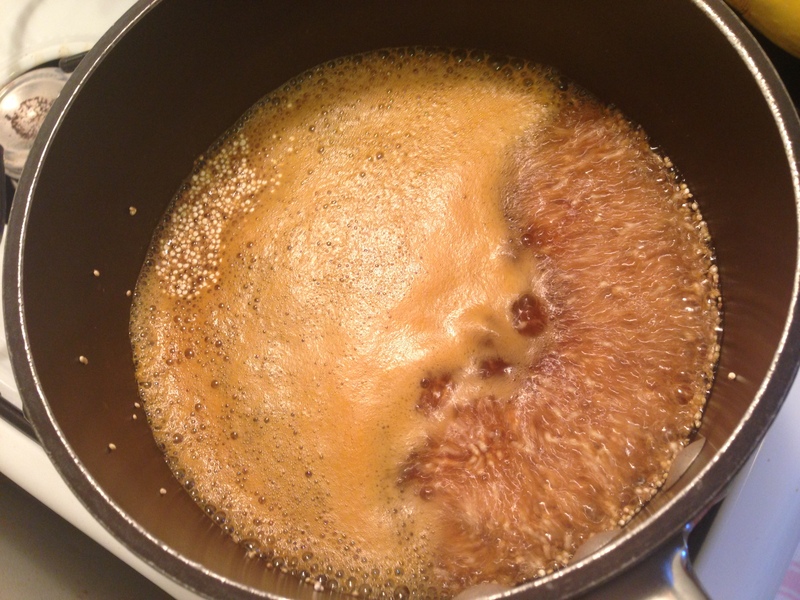 Once the quinoa is boiling, turn down the heat and simmer for 15-20 minutes until all the broth is absorbed. Remove the cooked quinoa from the heat and set aside. 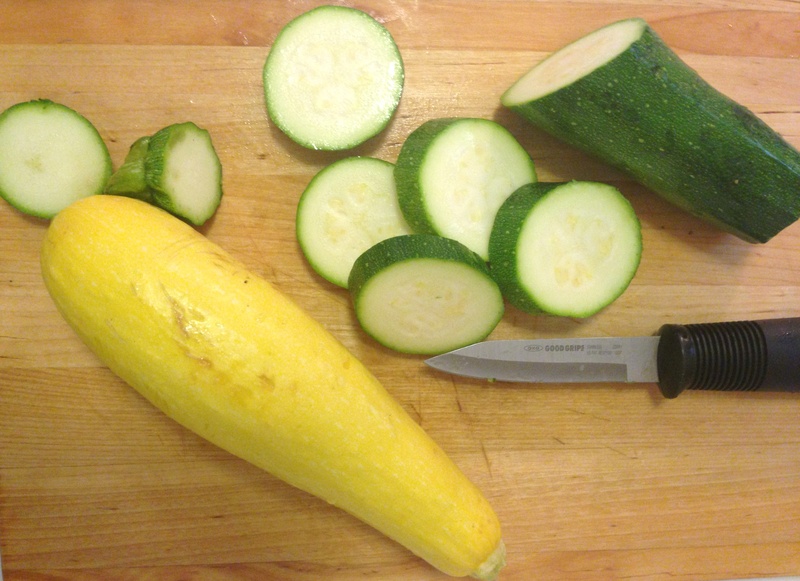 Slice up your zucchini and summer squash into rounds. 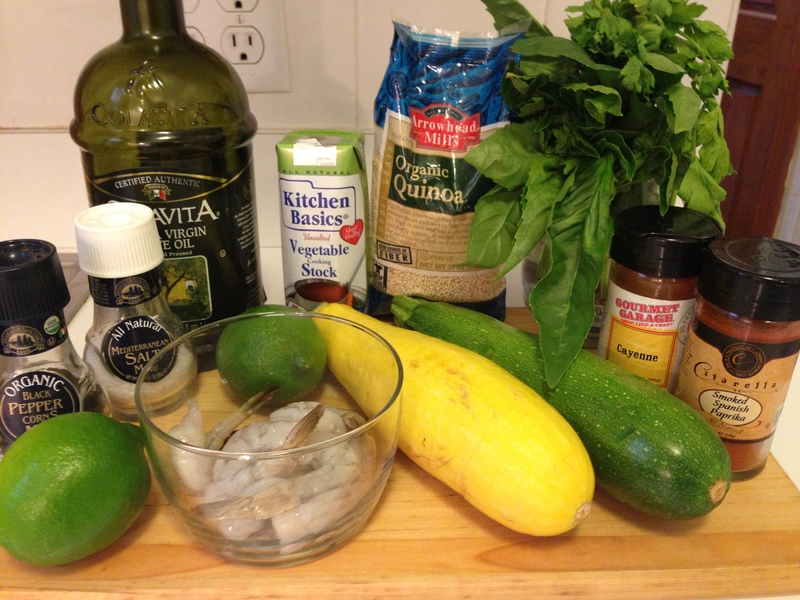 Lightly drizzle the squash with extra virgin olive oil and season the squash with salt and pepper. Fire up your grill pan on medium heat and get ready to grill. 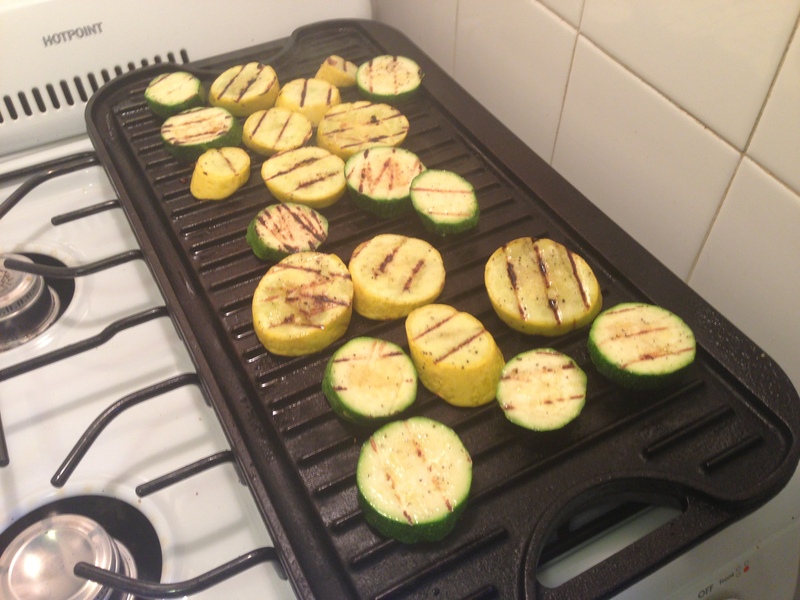 If you don’t have a grill pan, preheat your oven to 425 degrees, put the squash on a sheet tray, and place in the oven for about 12 minutes until they’re tender. 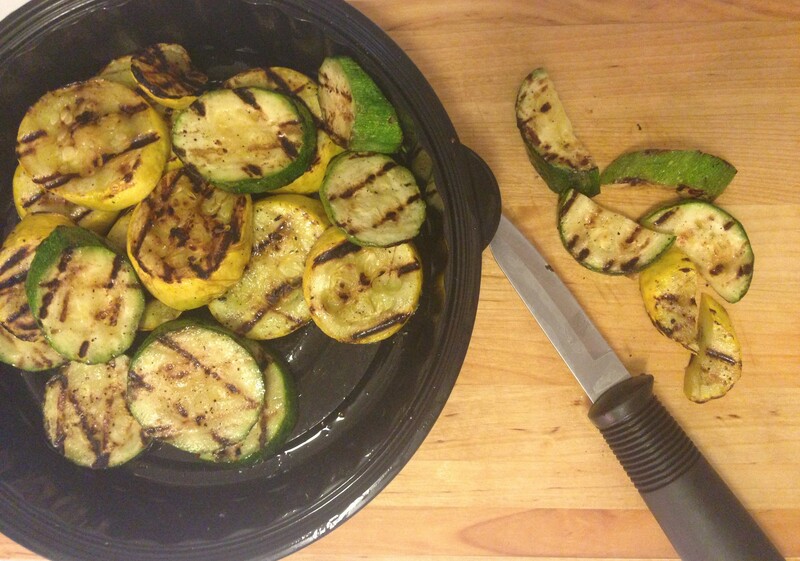 Remove the squash from the heat once grilled on both sides and tender (about 12-15 minutes). 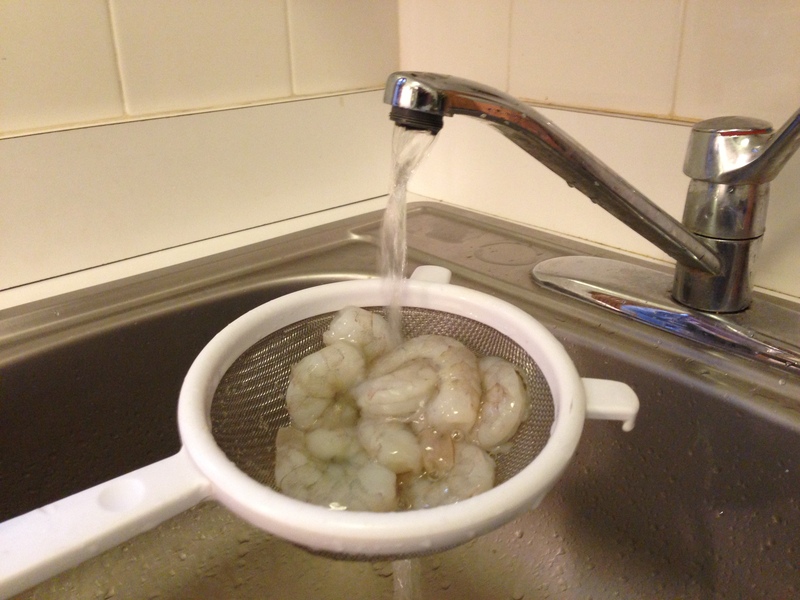 Now begin prepping the shrimp. Wash them thoroughly under cold water and remove their tails. Dry them and season them to your liking with salt, pepper and a dash of cayenne pepper and paprika. These little guys don’t take long on the grill. 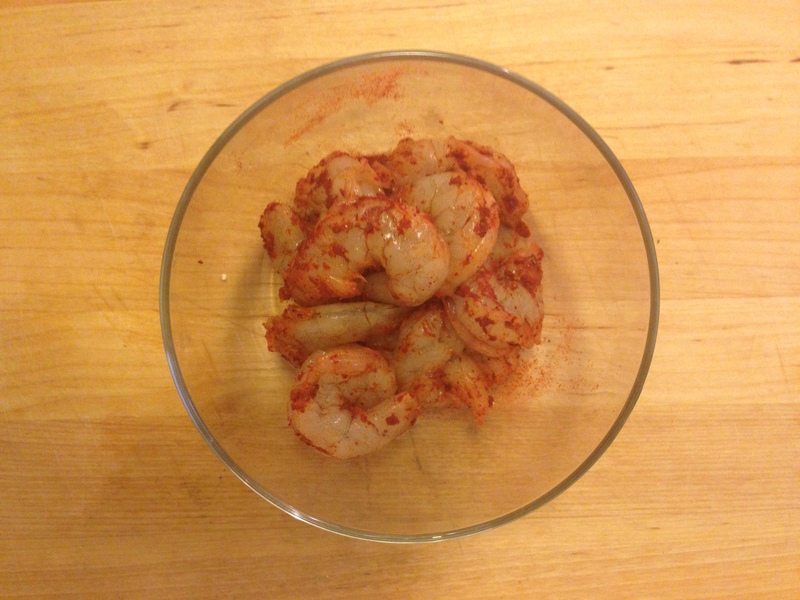 If using a small frying pan, place a tablespoon of olive oil in the pan and fry the shrimp for about 2 minutes. 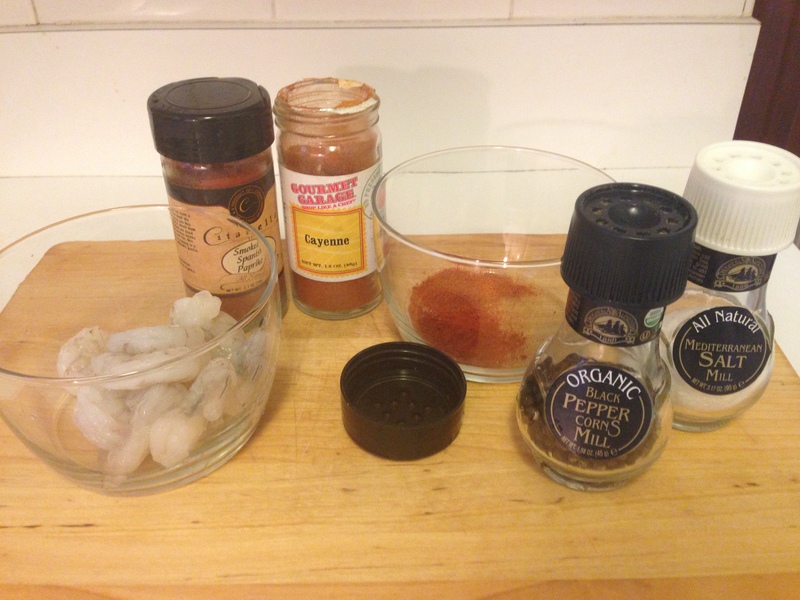 While the shrimp is cooking, whisk together the dressing (equal parts lime juice and olive oil, with minced garlic and salt and pepper). 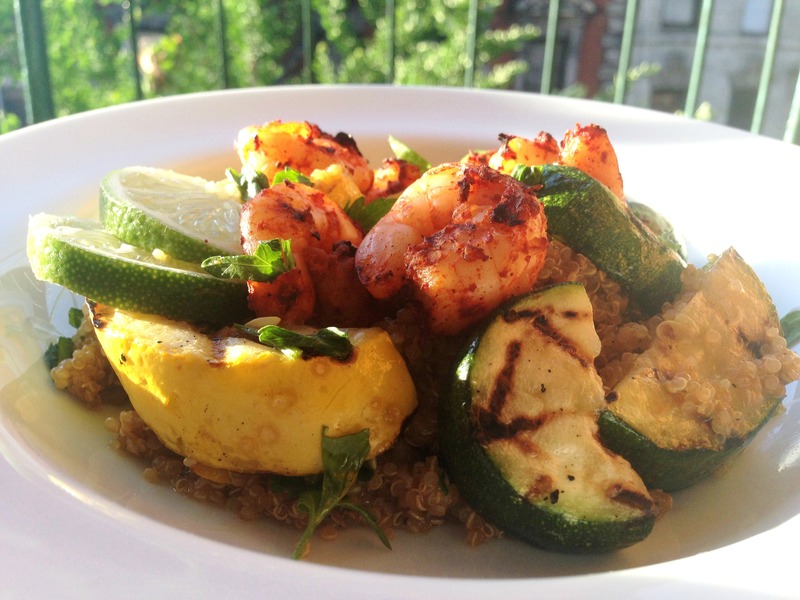 Slice the grilled squash discs in half and toss into the quinoa. Chop up the parsley and basil and pour the dressing over the salad. 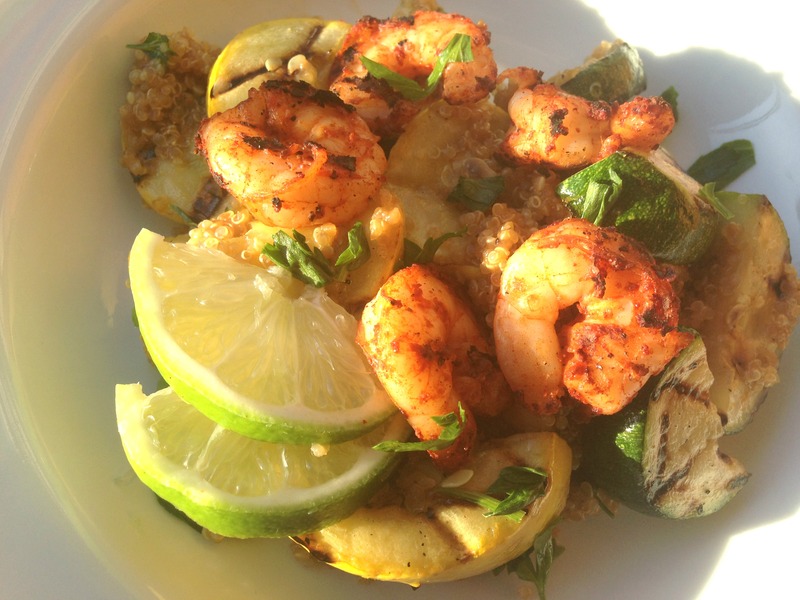 Now place your shrimp on top and you’re ready to go! 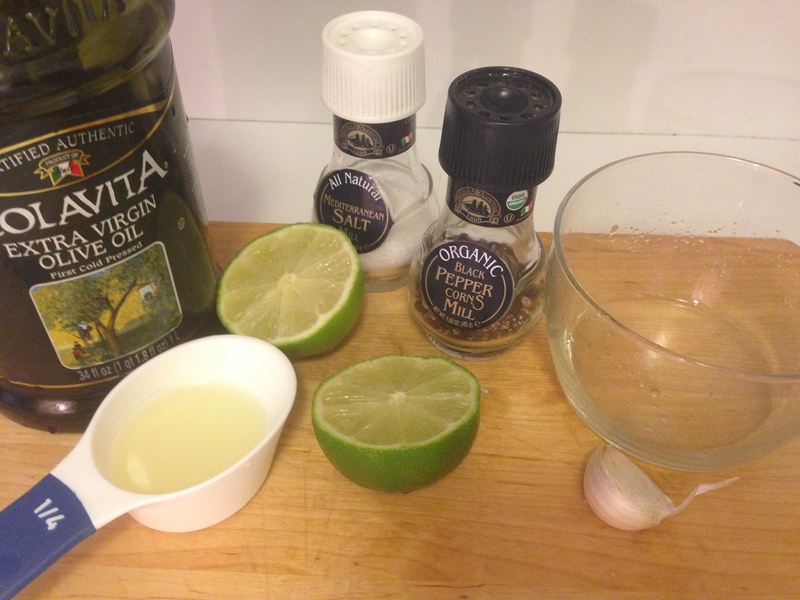 Serve hot or cold and don’t forget to squeeze a splash of fresh lime juice on top before eating! Fieldhouse Fun Fact: I save take out containers and use them as bowls and Tupperware. Looks and sounds delicious! I love quinoa!! That looks so awesome! Tomorrow nights dinner!!! !